Poster Makers — R&M Letter Graphics, Inc.
School based tools designed for educators, teachers and schools. We offer a line of specialized full color poster printers, thermal poster makers, award makers, cutout makers, laminators, binding systems and photo id systems. The VariQuest STP Series provides all the versatility a school requires, with none of the hassle. This compact all-in-one system will allow your school to discover new ways to enrich classrooms and hallways. 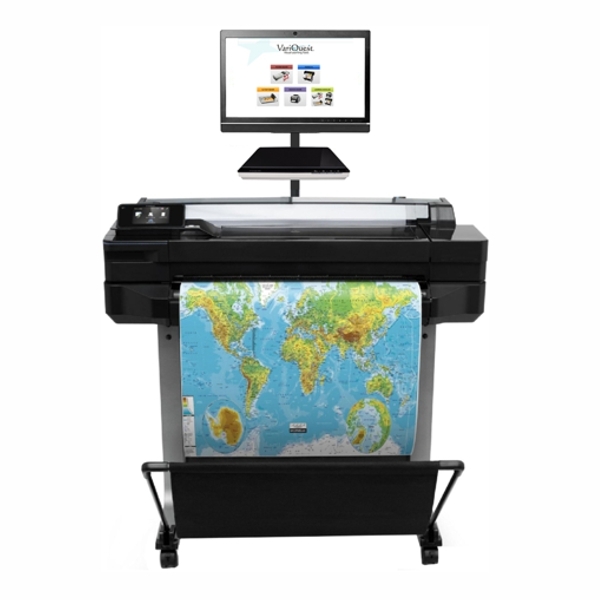 Easy to use poster printer and document enlarger, designed for educators. Incorporates an easy-to-use touch screen with hundreds of educationally relevant templates. Import images and print PDF files. Also includes a document scanner to enlarge a letter sized document to poster size. A school favorite for over 25 years. The only no ink / no toner poster making system of it's kind. Enlarge letter size documents to poster size at the touch of a button. Utilizes thermal printing for consistent cost and one supply item for ease of use.